What happened here to dim the lights of Hollywood's brightest showplace is about to unfold once again. One stormy night long ago, five people stepped through the door of an elevator and into a nightmare. That door is opening once again, but this time it's opening for you. Such is what happens when you... drop in... upon ghostly spirits. You never know how they'll react, or what dimension they'll try to pull you into. 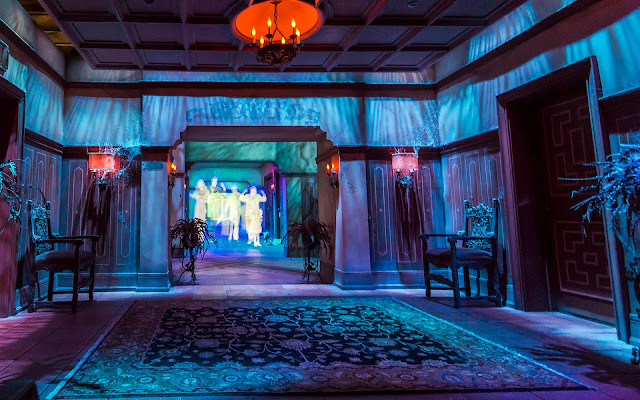 The doomed guests of that fateful elevator ride wave toward you in a scene on the Tower of Terror.